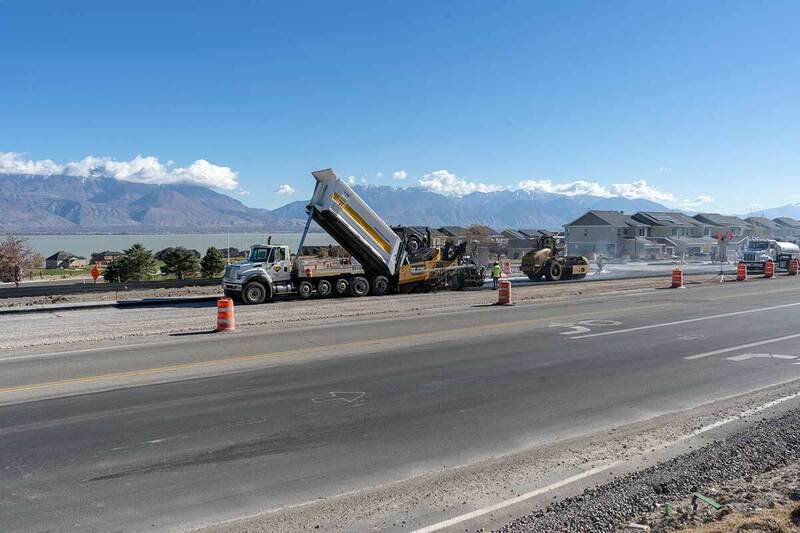 Geneva Rock Products is among the leading asphalt paving contractors in Utah. 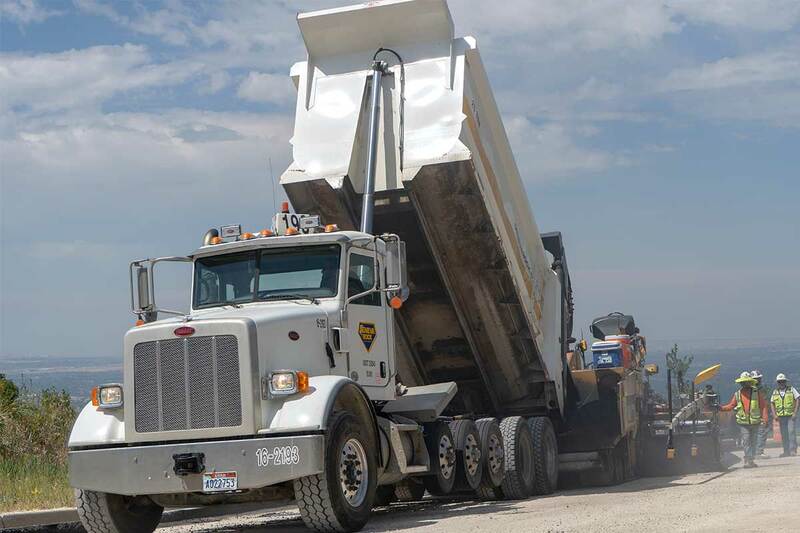 Decades of experience, professional quality control technicians, and four high capacity hot mix asphalt plants make us the contractor of choice for a variety of projects. 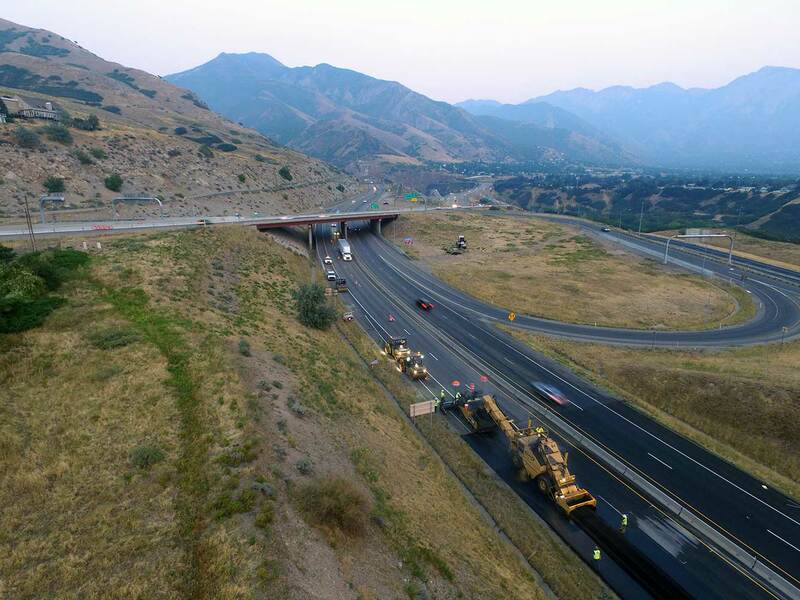 We specialize in paving Highways/Interstates, Municipal Roads, New Site Developments, Parking Lots, Trails, and more. 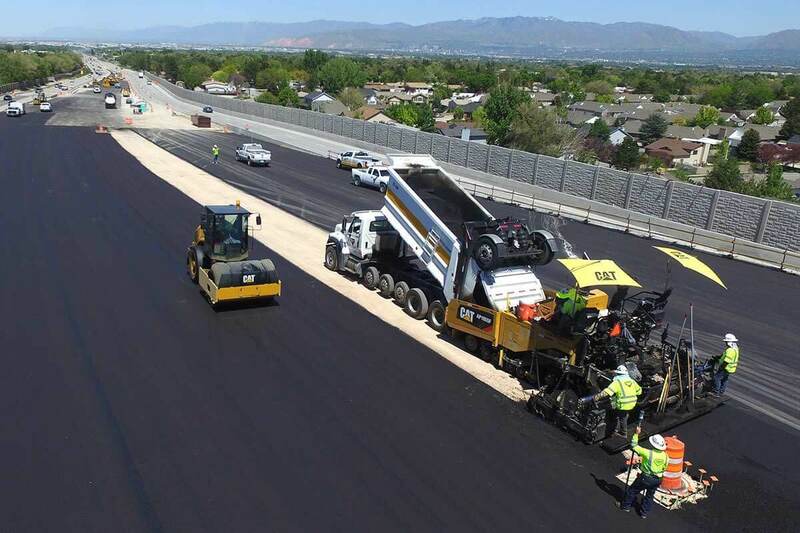 When an asphalt surface begins to deteriorate, chemicals and water infiltrate the material which can result in additional failure of the asphalt pavement. 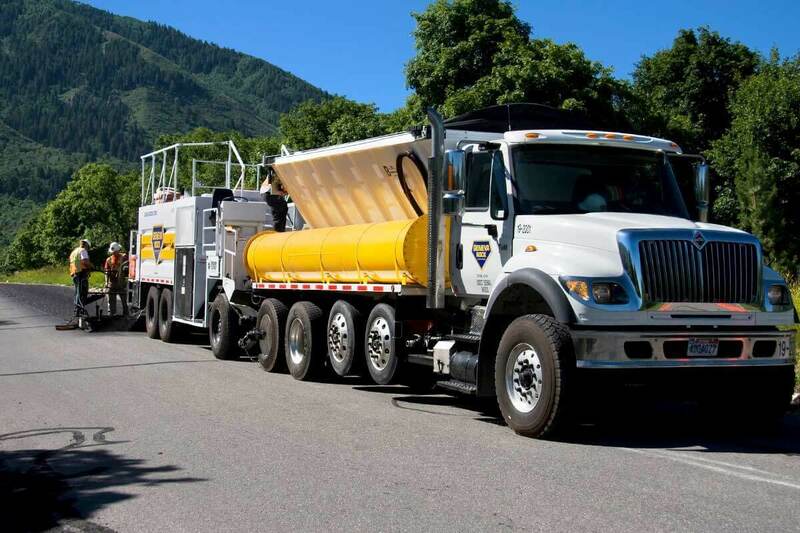 Depending on the overall condition of the pavement, Geneva Rock has the experience, expertise, and tools to pick the right option to extend the life of the asphalt pavement. 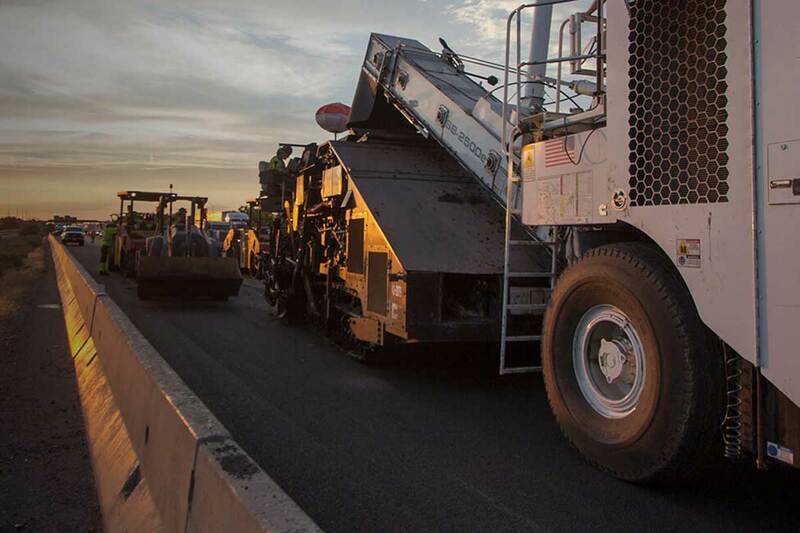 Resurfacing is an alternative to removing and replacing a section of asphalt. 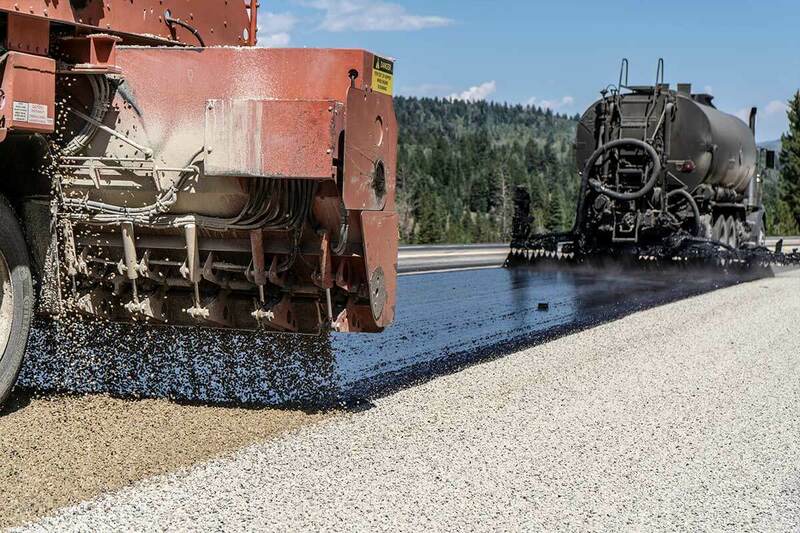 Often, this maintenance option is a less costly alternative to repaving that same section. 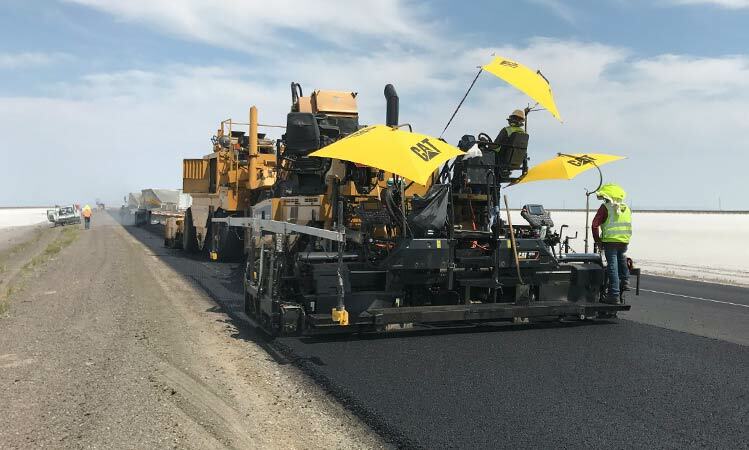 A Geneva Rock professional can help you determine, based on the current condition of the pavement, whether resurfacing or replacing a section of asphalt would be more economical. 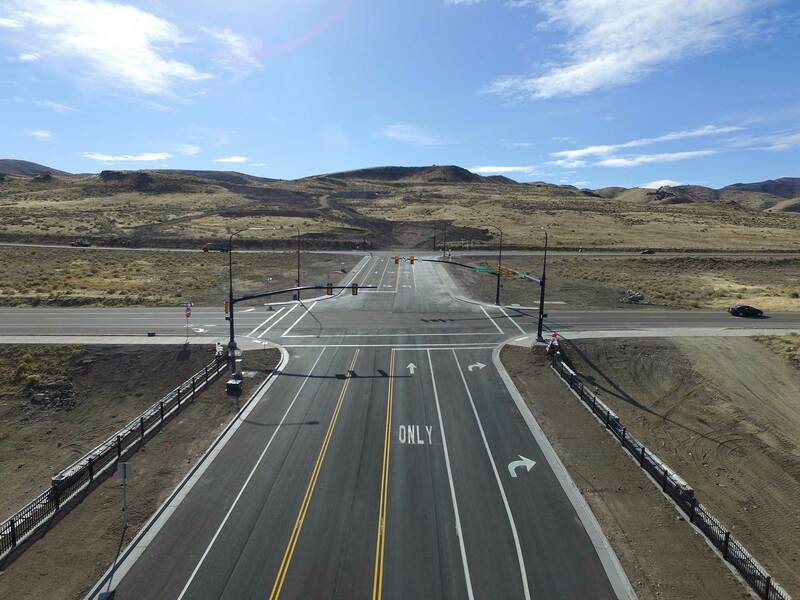 Much of this decision is based on whether the subgrade and asphalt layers are still performing according to design. 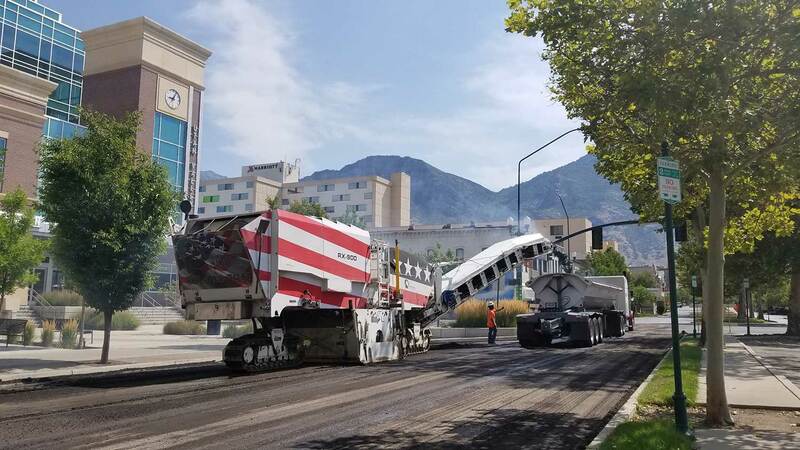 Chip and Seal is a pavement surface treatment where aggregate is applied over a layer of sprayed on emulsified asphalt.Chip seals are very cost effective surface treatments that provide a new wearing surface and make roads more durable to the harsh elements. 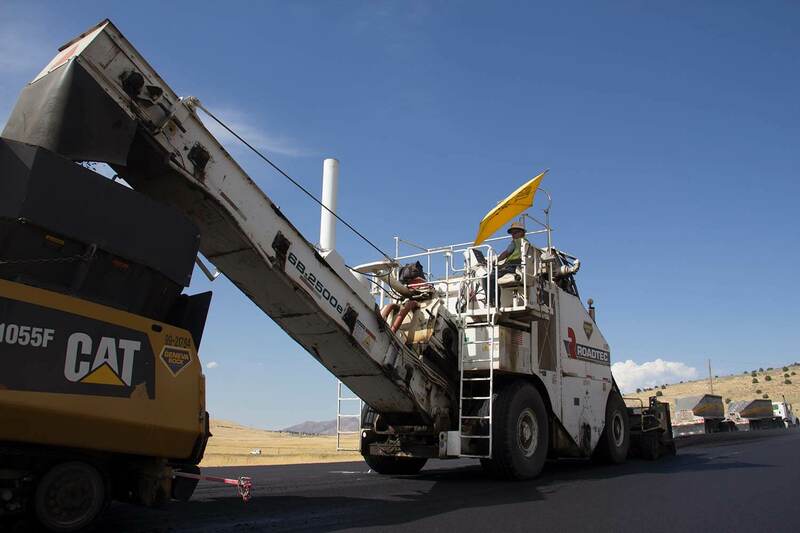 An asphalt overlay consists of paving a second layer of asphalt over an existing layer. 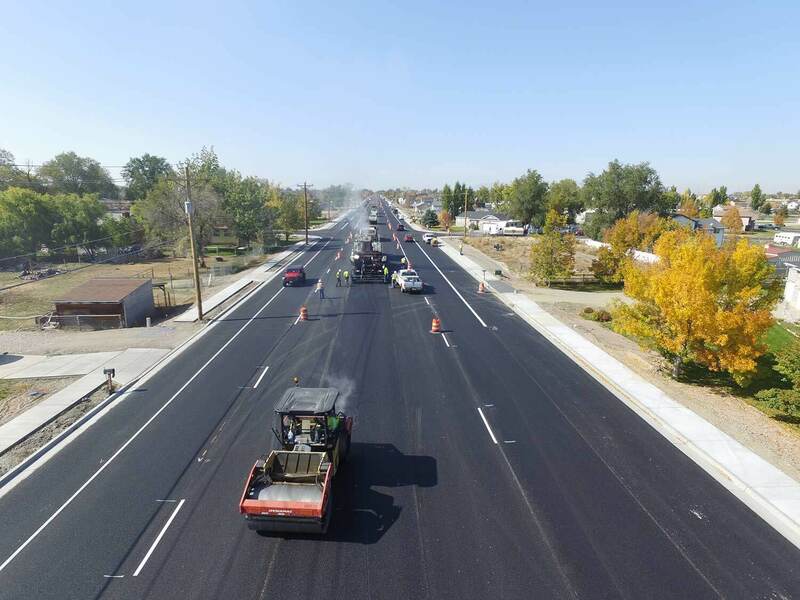 Asphalt overlay is often performed when the existing asphalt is in an overall good condition, but may be developing problem areas. 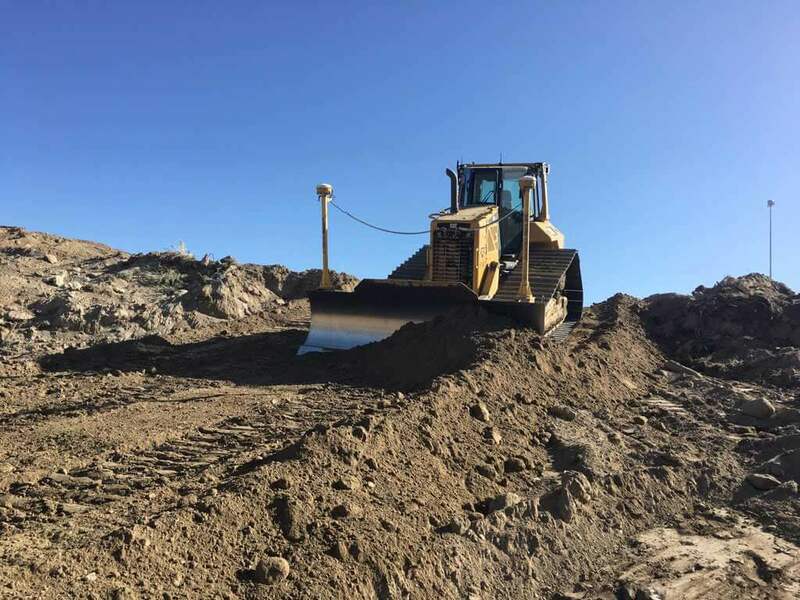 In sections where extensive cracking, crumbling or sinking has occurred, pieces may need to first be cut out and patched before a new layer can be paved.